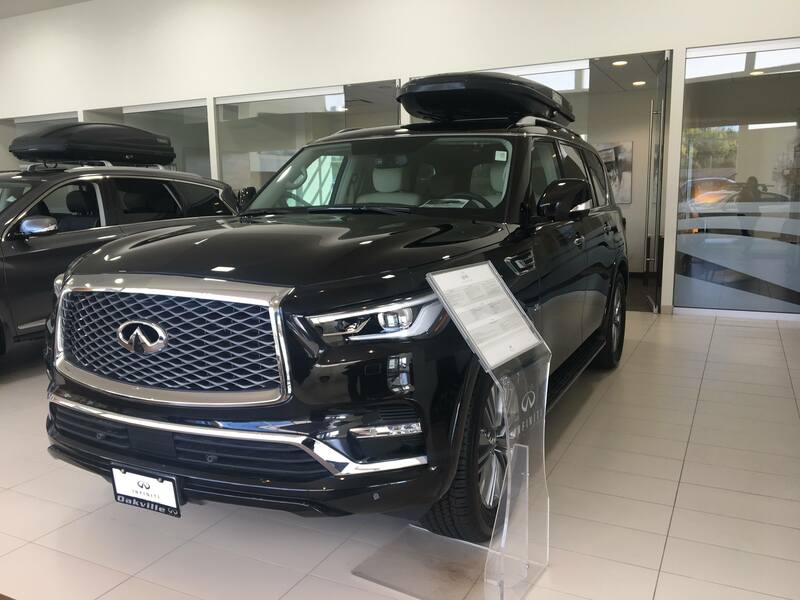 Comparing the INFINITI QX80 to the Land Rover Discovery and wondering which vehicle is right for you? We pit these two large SUVs against one another in FOUR categories: Drivetrain, Performance, Passenger Space, and Utility. Shopping for a seven-passenger or eight-passenger SUV in Toronto? Let Oakville INFINITI help you find the right fit for your family. You need something reliable that also offers utility and refuses to sacrifice style. Let us help! The INFINITI QX80 transmits more power to its wheels and does so far more effectively than the Land Rover Discovery. That means you get a higher torque and a more secure driving experience. And when paired with advanced handling systems like Hydraulic Body Motion Control, the QX80 offers a smooth drive on the highway and in the city. If you’re looking for a more capable SUV for towing, the playing field here is pretty even. The INFINITI QX80 and Land Rover Discovery have essentially the same towing capacities. However, the INFINITI QX80 has a lot more horsepower than the Land Rover Discovery. Thank to an impressive V8 engine, the QX80 lets you tap into 400 horsepower while the Discovery puts out just 340. 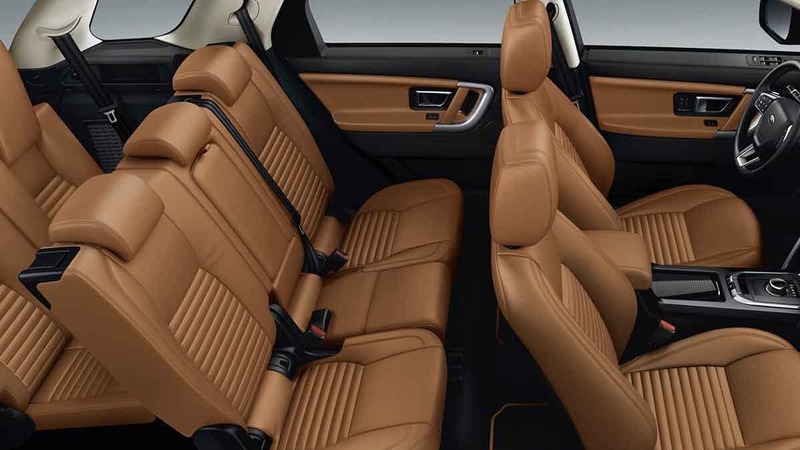 The Land Rover Discovery offers seating for up to seven only. The INFINITI QX80 offers enough seats for eight passengers if needed. Depending on the size of your family, this might play a huge role in your decision. 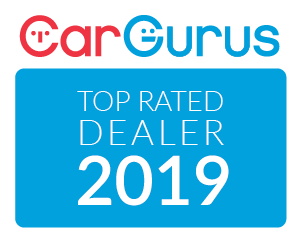 Almost all our clients in the market for a large SUV put utility and cargo capacity at the top of their list. Because, just like you need space for more passengers, you need room for all their things, too. The QX80 does a great job of strategically placing convenient hideaways for all types of cargo. 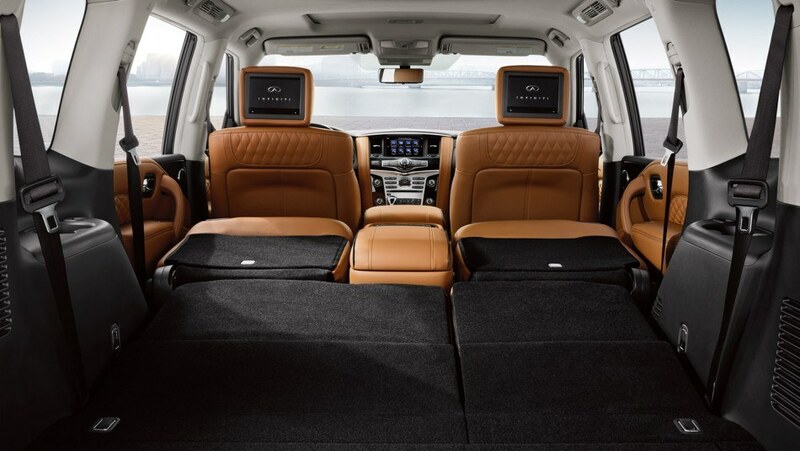 The QX80’s third-row seats fold at the touch of a button. Their 60/40 design makes it easy to bring more aboard. You can also collapse the second row for 2,694 litres of cargo space – more than enough room for your next trip. That’s more than the Discovery, which is also notably less wide. While less width might make the Discovery a touch easier to park, prepare to take less with you on your next gateway should you choose the Land Rover. Oakville INFINITI offers a luxury buying experience that is unmatched in Toronto. We have an experienced sales staff that prides themselves on their ability to find the perfect fit for anyone’s lifestyle. Our clients’ needs are varied. While some want the utility and agility of a coupe, others are shopping for a large SUV that offers versatility and space. Let us help you find the new or pre-owned vehicle of your dreams with competitive finance and lease rates. Interested in the QX80? Take one for a test drive today! We can walk you through the features and technology inside and under the hood, as well as break down warranty and upgrade packages. Let us get you into the right fit today!